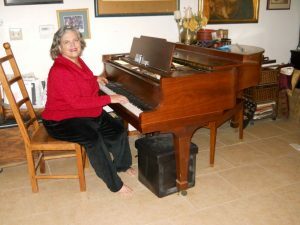 Women’s accomplishments in the arts have often gotten lost in the canon, and over the last twenty years, pianist/musicologist Claire Detels has made it a mission to bring those brilliant women whose works were not published or performed back to the stage. A music history teacher at the University of Arkansas before coming to Taos, Detels has always taken an interest in recovering the works of classical women composers and making those accessible to piano teachers and their students. The upcoming concert “Music by Great Women Piano Composers,” in honor of Women’s History Month, is part of Detels’ effort to share the beauty of these compositions by women. Composers represented will include Clara Wieck Schumann, Maria Szymanowska, Amy Beach, Lili Boulanger, Libby Larsen and Florence Price: all celebrated in their time, they were largely forgotten by historians and publishers after their life, until recently. Performers will include pianists Claire Detels, Kim Bakkum, Vickie Ford, Martha Grossman and Martha Shepp; violinist Suzie Schwartz; and cellist Rebecca Caron. Detels is performing a special piece, “one of her favorites,” she notes, by Florence Price. Ms. Price was a child prodigy from Claire’s home state of Arkansas. Price’s piano pieces are a combination of African American musical traditions and classical music. The result is a “fusion of ragtime and blues with classic piano that is unlike anything else,” according to Detels. The concert is Sunday March 15th at 4 PM at St James Episcopal Church. 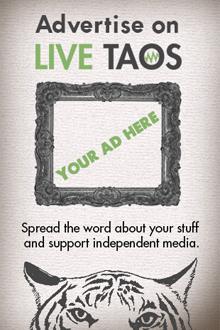 Visit our Live Taos Calendar for info on the event. The program is supported in part by the Taos Arts Council and Soundscapes. Admission will be $15, $10 for seniors and students. Children free. Proceeds help fund Soundscapes school programs. If it’s the bee’s knees, then Kelley loves to write about it. She loves to think and talk with people (especially over coffee or a martini) who are working their behinds off to make their creative ideas come true. Secretly, she wishes she owned a bakery.